Good restoration projects have a life expectancy of their own. You might have heard, a happy client is worth a thousand dollars. Both these statement have many similarities in that good restoration has a beauty all its own just like a sound B2B relationship. When practical knowledge of building materials and good design can restore life and functional to a structure, as what happen to the columbarium at the Towson United Methodist Church in Towson Maryland a true value engineered and successful project has been completed. The Towson United Methodist Church is located in historic Baltimore County, Maryland suburb of Towson. Its past was rooted in 19th century America when the congregation was split in 1861 on the eve of the American Civil War in a border state of divided loyalties. Eventually reunited in the 1950s, the Towson United Methodist Church remains a key contributor to the local Towson community. Columbaria have been around since the beginning of time. The Romans believed that proper burial was essential for passage to the afterlife. Many Romans belonged to funeral societies called collegia to ensure proper burial. Collegia members were granted a niche in a columbarium. Columbaria were large vaults where people’s cremated remains were placed in small wall niches. Columbaria were an inexpensive way to guarantee this passage, and collegia allowed all classes of people to reach the afterworld. Some Emperors even provided funeral allowances to those so very poor who could not afford collegia. In the spring of 1995, the Towson United Methodist Church (TUMC) undertook a major restoration and rehabilitation to the Church’s Columbarium. Architectural and engineering drawings were prepared to restore the aggressively deteriorating columbarium. A field study was performed to map the type and extent of deteriorated stone, distressed metal trim finishes and structural damage to the urn niches and masonry core. Specific detailing was outlined to assure waterproofing practices and repair material selection met with the current requirements of the National Brick Institute and ASTM Standards. The project occurred eighteen (18) years ago and the authors, Stephen A. Johanson, PE and Joe Brocato provided engineering and construction services for the project. The specified scope of work included the removal of existing brick, wall cap, removal and replacement of the masonry façade, removal of the existing concrete lintels and marble cover stones; waterproofing of wall and niche interiors, and installation of new cover stones, metal accent plates, and stone wall cap. The project occurred eighteen (18) years ago and the authors, Stephen A. Johanson, PE and Joe Brocato provided engineering and construction services for the project. The specified scope of work included the removal of existing brick, wall cap, removal and replacement of the masonry façade, removal of the existing concrete lintels and marble cover stones(See Photo 2 and Photo 3) ; waterproofing of wall and niche interiors, and installation of new cover stones, metal accent plates, and stone wall cap. Detail 1 identifies, in general, the scope of work. Built in 1976, the columbarium began experiencing water infiltration and efflorescence staining within one year after completion. Thereafter, the mortared joints between the dolomite capstones were deteriorating permitting water infiltration into the interior niches allowing random freeze/thaw damage to occur. Discoloration and staining originated from the brick and mortar and spread throughout the structure. Recommendations were made to perform a chemical investigation utilizing wall samples to test the compatibility of building materials in the structure. The laboratory analysis examined the masonry surfaces for the presence of soluble salts and/or insoluble precipitates. The analysis identified the white surface deposit as precipitated calcite. Precipitates are the products of concentrations of ions of a substance in a saturated solution of the substance. This precipitate formed as a solid, white, or translucent substance was being deposited on the surface of the brick and adjacent masonry surfaces. The reaction described above will result from carbonic acid (acid rain) in contact with calcareous materials. Lime (CaO) and portlandite Ca(OH)2 can also form calcium bicarbonate and then dissolve. In the above case, the production of calcium bicarbonate is dependent on carbonic acid, common in rainwater. The mortar originally used in the columbarium contained hydrated lime Ca(OH)2 that allowed the second set of reactions to occur. If there is limestone in the aggregate fraction of the mortar, then the first set of reactions will also occur and contribute to the formation of calcium bicarbonate. The above chemical equation is a description of the mechanism of calcite formation, which could be helpful in understanding the nature of the problem of “staining” on the columbarium. The original design called for the placement of the waterproof layer along the top of the brick wall and below the cap stone. Colored mortared joints were placed between the stones. Over time the mortar in the joints shrank, allowing water that entered the horizontal joints to be trapped above the membrane. Over time, this high water content in the fresh bedding mortar enabled the lime (as calcium hydroxide) to go into the solution. It was carried to the surface where it dipped and ran down the face of the bricks and also collected on the stone nosing. Minerals in the brick leached out in varying colors. All deteriorated pre-cast and masonry were removed from the structure. Each niche received new pre-cast planks, copolymer interior lining and new uncontaminated masonry units. Repair mortars lined each urn niche providing the desired esthetic appearance. Curing of the structure allowed for proper hydration of the masonry mortar and copolymer repair mortars. A new waterproofing through-wall flashing was installed on top of the columbarium’s wall. Architectural metal ornamental finishes and marble niche cover stones were added. Dolomite capstones were set in a mortar bed. Head joints were grouted with the same material consisting of Portland cement, ASTM C 150, Type 1; hydrated lime, ASTM C 207, Type 5; and mortar aggregate, ASTM C 144, standard masonry type. Expansion Joints were added to the structure. Revised design considerations include extending the capstone a minimum of two (2) inches beyond the face of the wall. The overhang was provided with a three-eighths (3/8) inch drip lip, located approximately three-quarter (3/4) inch back from the edge of the capstone. Expansion joints allowed for movement isolating the mortar joints from movement. There was a small amount of calcite that remains on the existing surface of the stone and masonry was removed or greatly reduced by gentle mechanical cleaning. Several tests were conducted in small, out- of-the-way areas using a medium grade of Scotchbrite. The deposits on the brick were individually removed with very dilute hydrochloric acid. Reduce standard muriatic acid to a concentration of 2% with water. Wetting the wall down before the cleaning starts is important, continuing to wet ahead of the immediate working area. The 2% solution was applied with a bristle brush directly to the calcite deposits. The majority of the stains came off immediately. Do not flood the wall or the mortar joints with the diluted acid. The wall was rinsed, allow drying and rinsing again. This process was repeated several times. After each rinse, the pH of the wall was checked. The wall was allowed to dry overnight and then the pH was checked again. Inspection of the columbarium in September 2013 identified a clean surface, tight mortar joints, functioning expansion joints and pristine esthetics. The TUMC columbarium façade has weathered the Maryland environment excellently. Certainly, the new designs integrated into the columbarium have improved the columbarium’s physical structure. Efforts to assurance of the compatibility of building materials has eliminated cross contamination and therefore sustained the integrality of the structures façade. Preventing water infiltration has resulted in the reduction of moisture to penetrate the façade has eliminated or greatly reduced deterioration and insured the structure’s longevity. The present excellent condition of the Towson UMC Columbarium speaks volumes for the accomplishments executed thorough its design, modifications and final construction. Stephen A. Johanson, P.E., specializes in the rehabilitation and restoration of existing structures and the restoration of the exterior facades of buildings. He has been a member of ICRI, NSPE, ACI, and SWRI and has received several Pennsylvania and Maryland Historical Project Awards. He has a BSCE from the University of Dayton has successfully completed the Historic Preservation Program at Goucher College. Joe Brocato has extensive field experience in masonry restoration and concrete rehabilitation. He has supervised the workmanship of historical properties, industrial plants and commercial and residential high rise buildings. He has earned leading manufacturers’ certifications and retains extensive knowledge in material selection and installation. 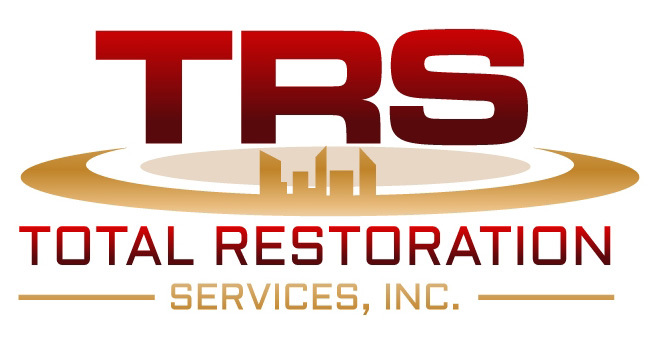 He is an expert in the art of exterior building restoration.